In the last 12 months, Grabyo has delivered more than 500,000 videos across social, digital and OTT platforms generating more than 8.5bn video views. 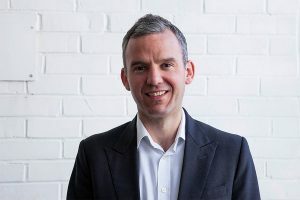 Our partners have created over 516,000 clips and 18,000 live streams using Grabyo’s browser-based video production tools, registering over 33 billion social media impressions along the way, writes CEO Gareth Capon. Across the industry, we continue to see a migrational shift away from traditional linear TV viewing and rapid growth in mobile, social and OTT video consumption. Significant new video services have emerged this year, including the roll-out of Facebook Watch and IGTV from Instagram, which reflects the growing demand for digital-first video content in 2018. Further opportunities exist for publishers capturing digital audiences with live streaming and near-live video content – especially for those watching on mobile devices. Among the many sporting highlights of the year, the FIFA World Cup ranks highly for many fans. England’s run to the semi-finals captured the imagination of the country, supported by an all-new, live daily show on YouTube show called The Lion’s Den, produced by The FA and Grabyo! The Lion’s Den was designed to connect England players more closely with fans than ever before, giving fans daily access to players inside England’s World Cup training camp. Almost all of the players appeared on the show, along with manager Gareth Southgate, answering fan questions and discussing their progress. Unlike a traditional TV broadcast, ‘The Lions Den’ was filmed in Russia but produced remotely by a small digital team in London. Using a combination of Grabyo and Singular.Live, the FA was able to produce a daily live broadcast from Russia with a team of just three on the ground. Among other highlights was the annual Championships in Wimbledon with the All England Lawn and Tennis Club. This year, for the first time, the AELTC live streamed match coverage using ‘Visual Radio’ with Grabyo. Over 750,000 people tuned in to the audio-only streams on Facebook. Across the pond, Turner Sports enjoyed a productive NBA All-Star Weekend, creating over 2,000 clips and 15 live streams, providing basketball fans with a rich viewing experience of the event. Consumers have shown great interest in live streaming experiences that add context and insight into events across sports, news, and entertainment. The NFL’s ‘NFL UK Sideline Live’ pre-game show was one of our favourites this year. The new format was streamed directly to social media before the 2018 international matches hosted in London, attracting over 110,000 viewers on Facebook alone. Real Madrid had another big year for social video including the live stream of their 13th Champions League victory celebrations, watched by over 14 million people on Facebook Live.